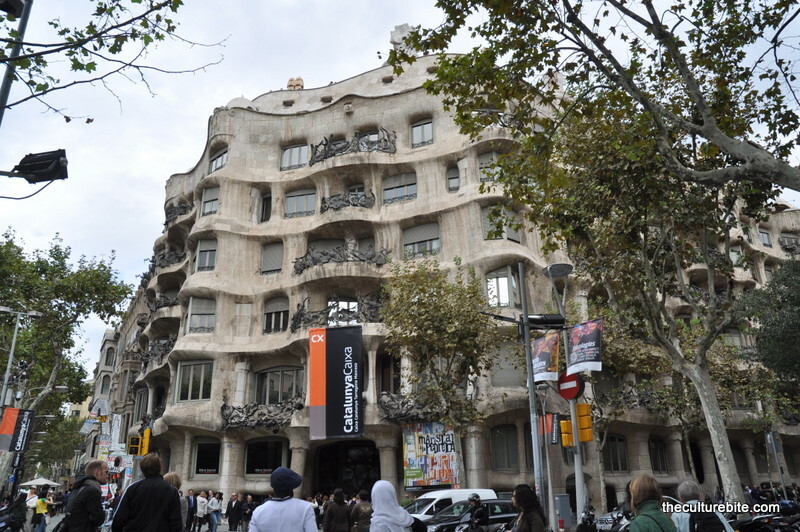 Our first full day in Barcelona was all about Antoni Gaudi, a Catalan architect during the Art Nouveau period famous for his unique and modern designs. 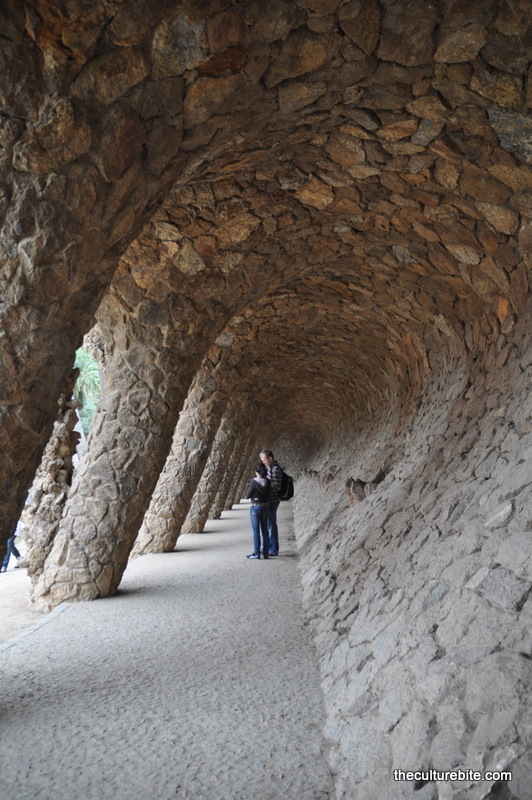 Casa Batllo, La Pedrera, Sagrada Familia and Park Guell… we did it all. Brace yourself, this was a long post to write. 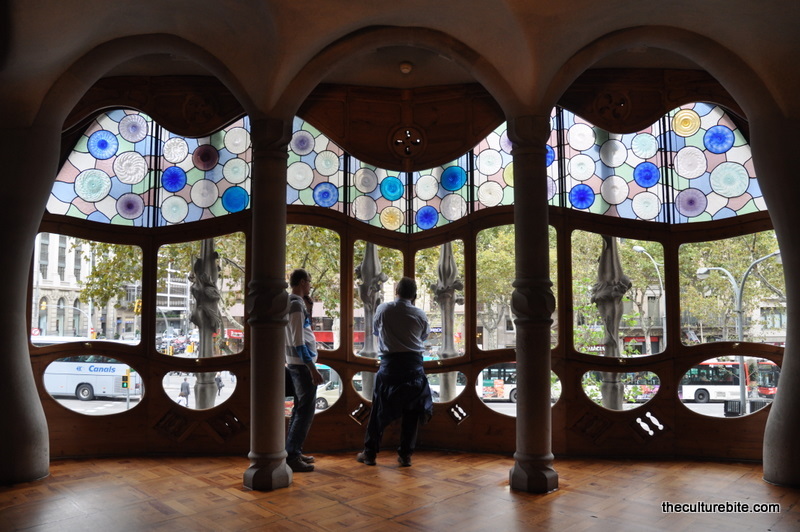 We started the tour off with Casa Batllo on the Passeig de Gracia in the Eixample district. I found this the most interesting building out of the day. 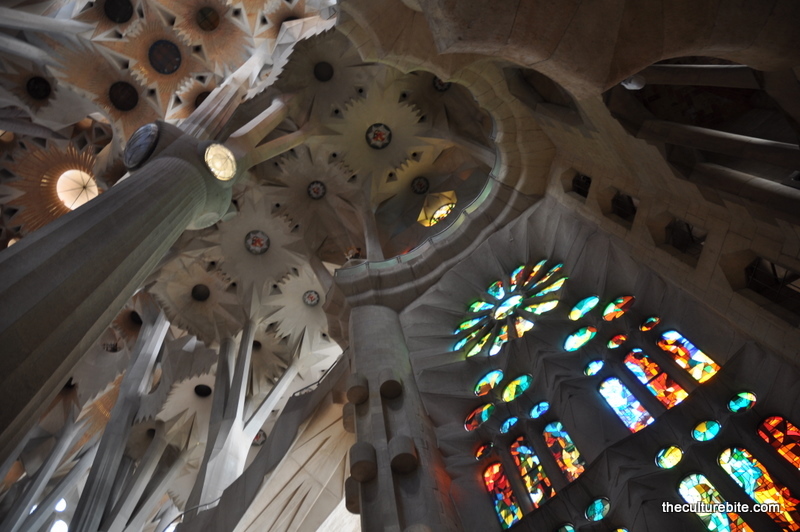 Yes, even more so than the Sagrada Familia. Words alone cannot describe this building. You have to check out my photos below. The exterior looks as if a sea monster is swallowing a pile of bones. 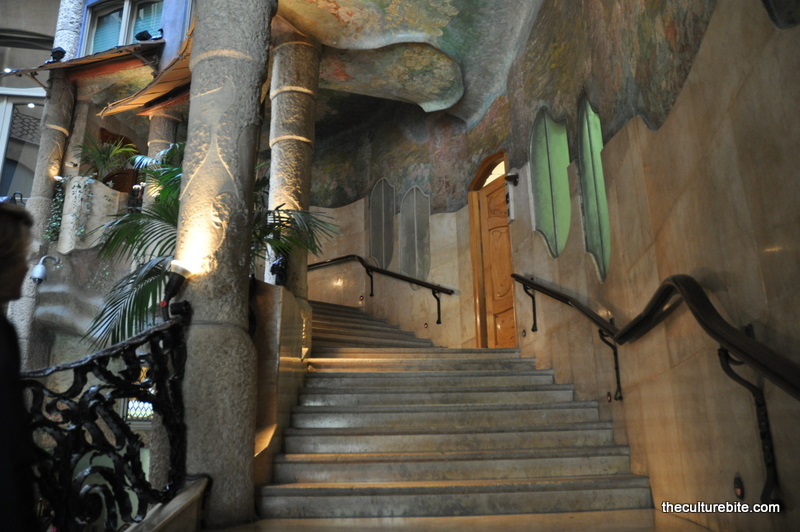 The interior, on the other hand, is so peaceful and serene – from the rounded windows to the curvy staircases. Although there are no straight lines in the building, every angle and curve was designed with the purpose to bring in natural light. 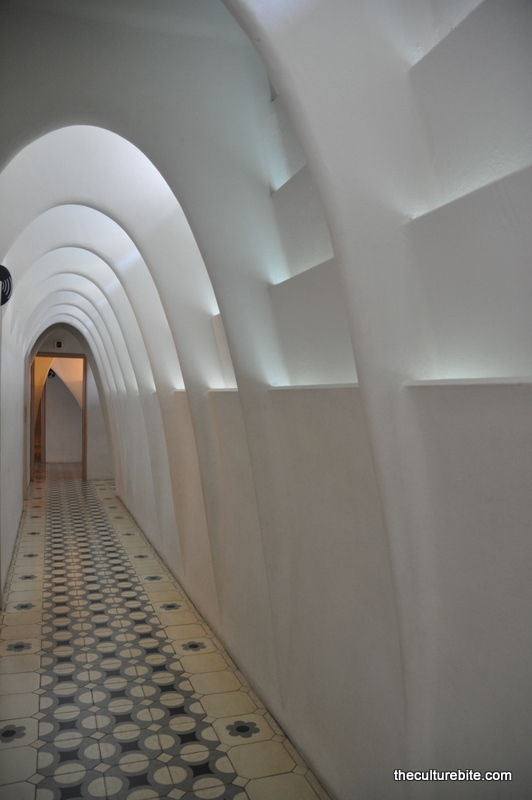 The building is so modern and scientific, yet Gaudi remodeled Casa Batllo in the early 1900s. Even to this day, there’s nothing else like it. We stopped for lunch at Caffe Fiorino. This is what I love about Barcelona. 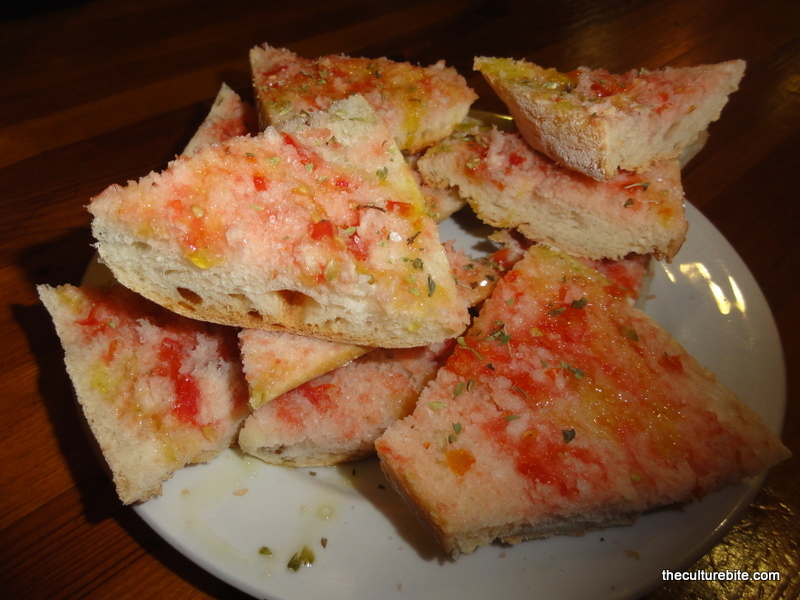 You just sit at a bar stool and pick what you want from the dozens of little pastries and sandwiches on the counter. 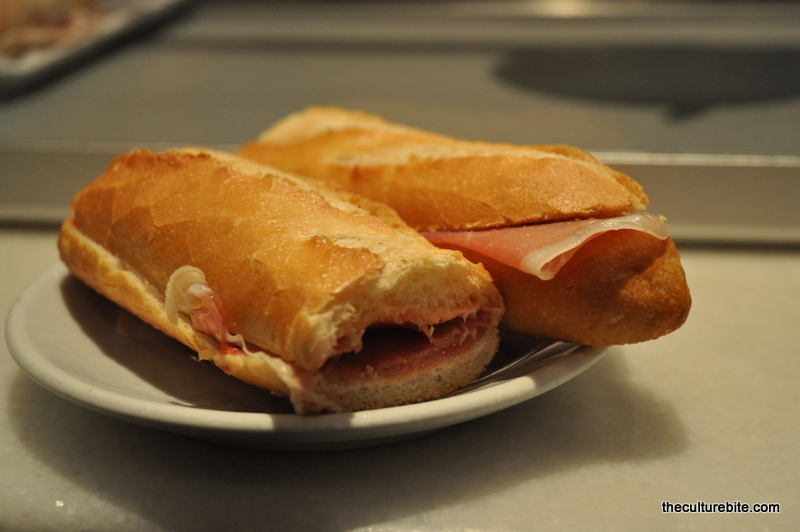 We got 2 sandwiches filled with Iberian ham with 2 caffe con leche – all for about 6 euros each. This is the best kind of meal when you’re on vacation – tasty and cheap. 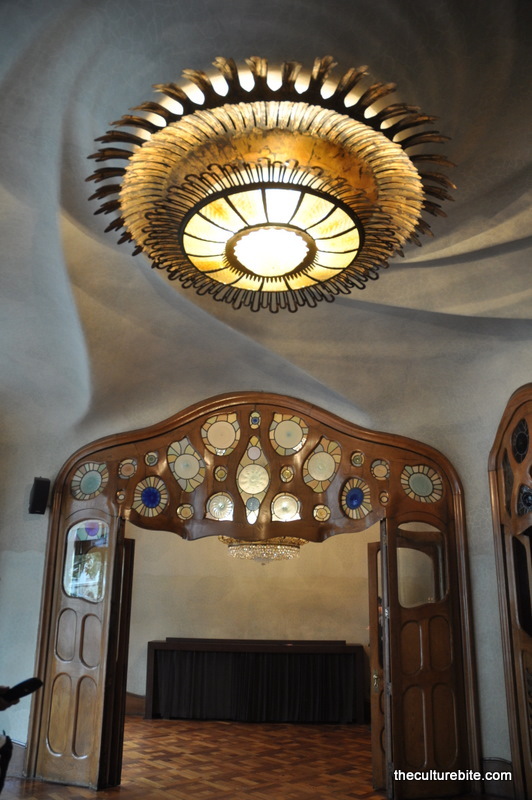 Next, we went to La Pedrera, another apartment designed by Gaudi off of the Passeig de Gracia. 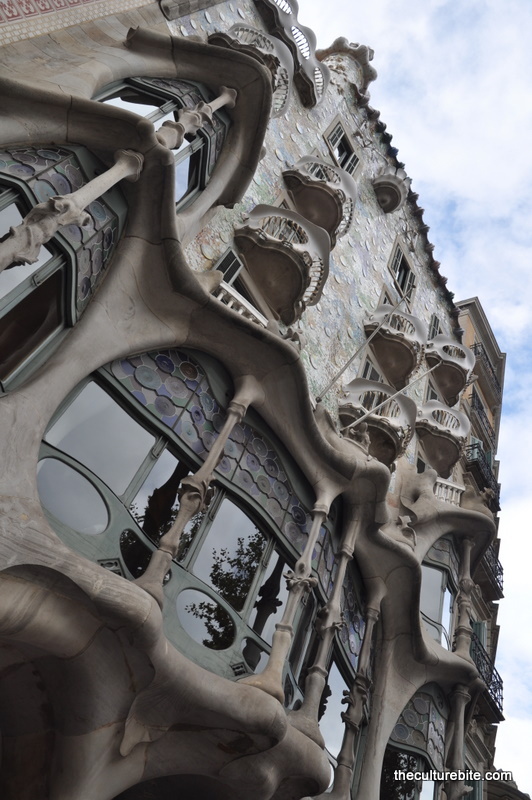 This building was still pretty cool, but not as fascinating as Casa Batllo. But I think it’s because you don’t get to see much of the interior of the building since it’s still occupied by residents. 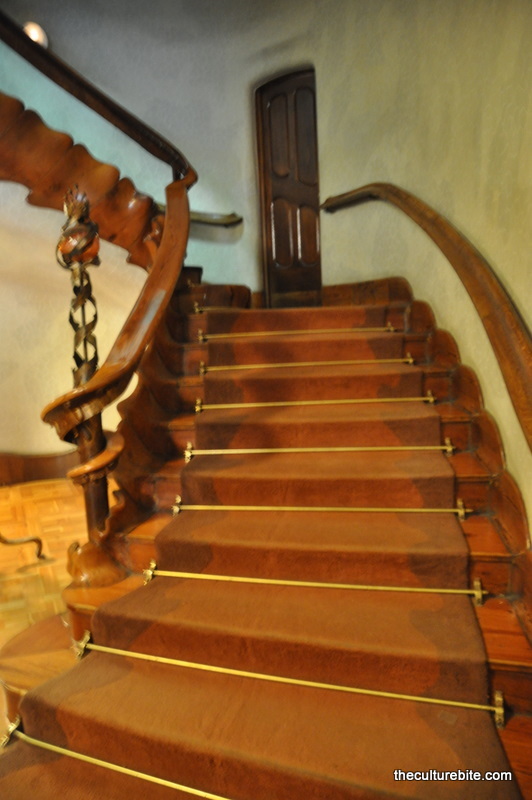 We were only allowed to view the attic, the rooftop and a restored apartment decorated by previous residents. 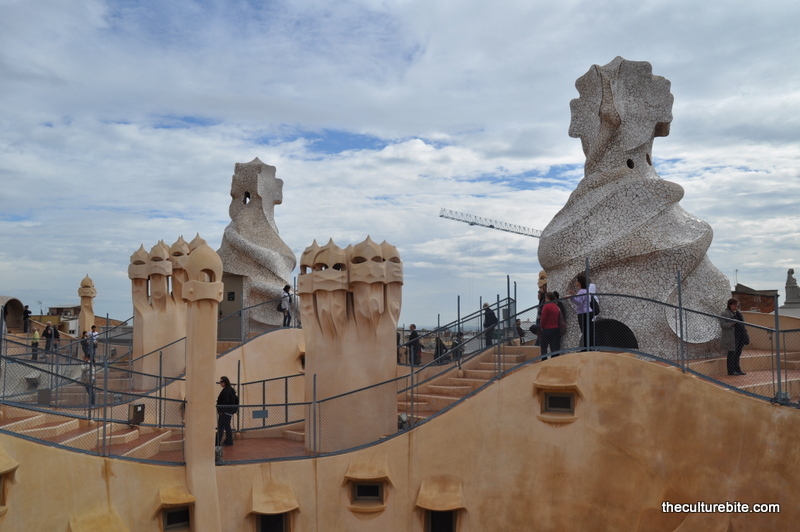 La Pedrera is more like a museum to all of Gaudi’s work. 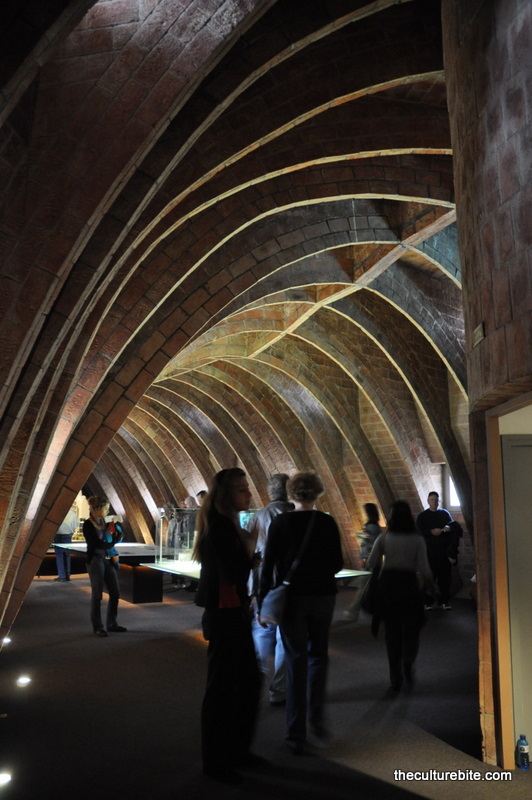 The attic, where the museum is held, looks like the inner ribcage of a snake. Check out some photos below. 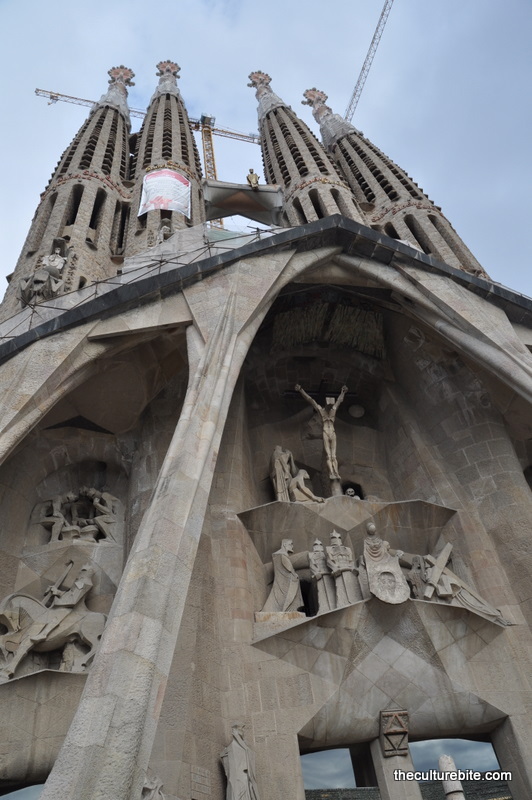 We made our way over to the Sagrada Familia, probably the most famous building in Gaudi’s collection. 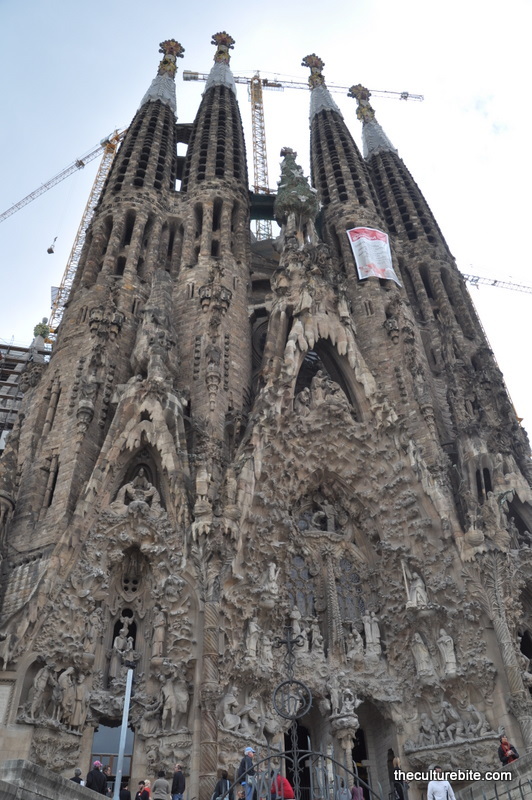 The Sagrada Familia is Roman Catholic church that has been under construction since 1882. The detail that has been put into into this church is amazing. 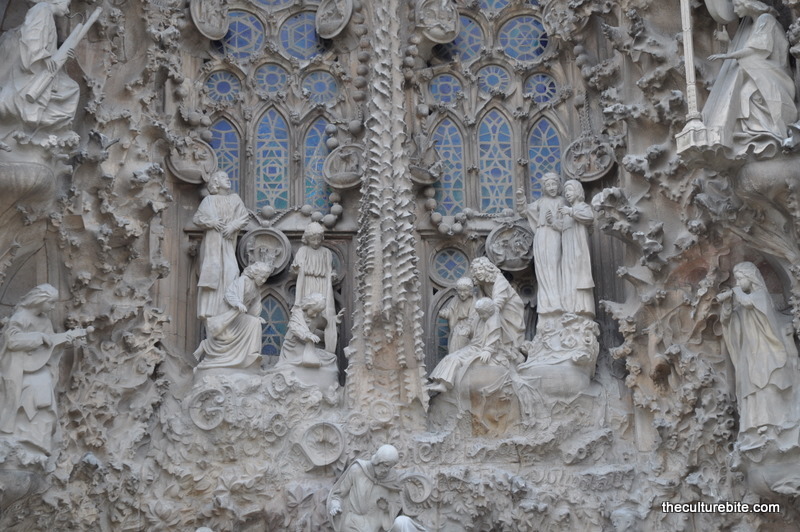 From afar, the church looks like a pile of melted wax, but as you get closer, you can see the very detailed carvings on each façade. From baskets of fruit to Jesus on the cross to turtles to the nativity scene – it’s no wonder the expected completion date is not until 2026. The day is still young! 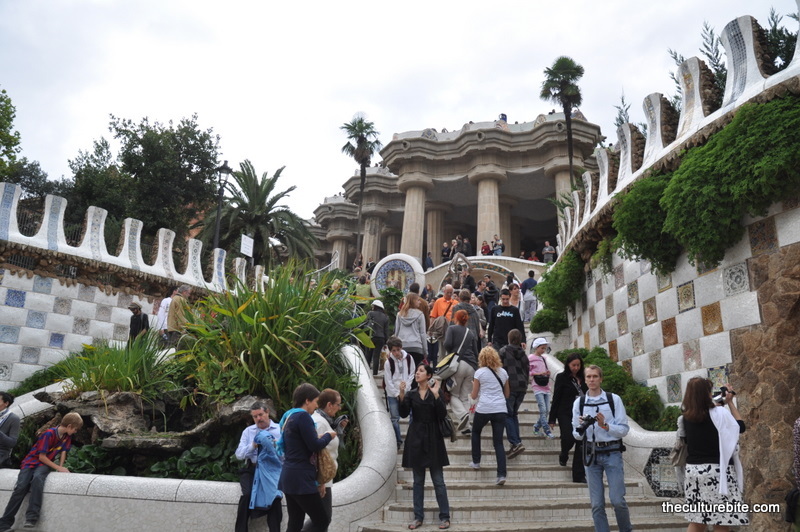 We hopped on the metro to Park Guell. The story behind this community is kind of funny. Gaudi built it as a commercial housing site, but it turned unsuccessful and was later purchased by the government as a public park. Now, it attracts thousands of visitors a day! Gaudi actually lived on this property and his home is now the home to the Gaudi Museum, definitely not worth it if you went to the other previously mentioned buildings. The park was undoubtedly ahead of its time, which is probably why it was unsuccessful. When walking through the weird rock formations, it felt like I was in gingerbread land. Very cool. When we finally got back to the apartment, we ate our leftovers from the night before. K is a dude and wasn’t satisfied with his small portion, so we went out for some late night tapas at a quiet local bar in Barceloneta called Bitacora. 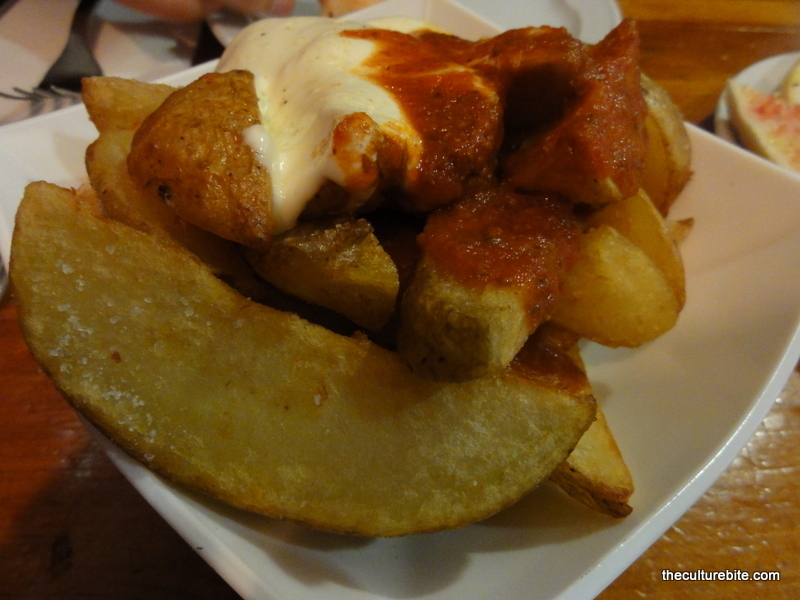 We got some patatas bravas, fried anchovies and pan con tomate (bread with tomato, a classic tapas dish). 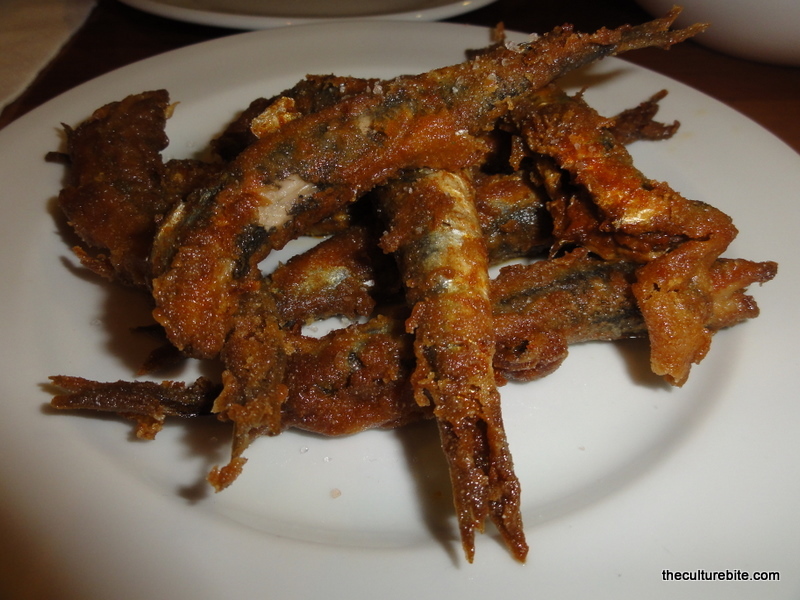 Food was mediocre – bread was stale, potatoes weren’t crispy and eating an entire fish, bones ‘n all, was a little intimidating. But, it was fun people watching and pretending to be a local.